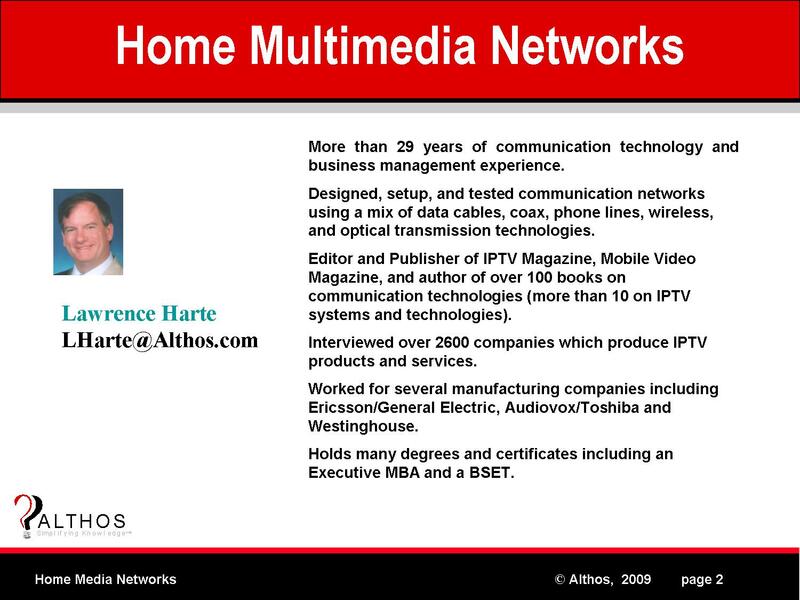 Home media network expert Lawrence Harte has designed, setup, and tested communication networks using a mix of data cables, coax, phone lines, wireless, and optical transmission technologies. Mr. Harte has interviewed over 2600 companies which produce IPTV products and services. He has worked for Ericsson/General Electric, Audiovox/Toshiba and Westinghouse and consulted for hundreds of other companies.